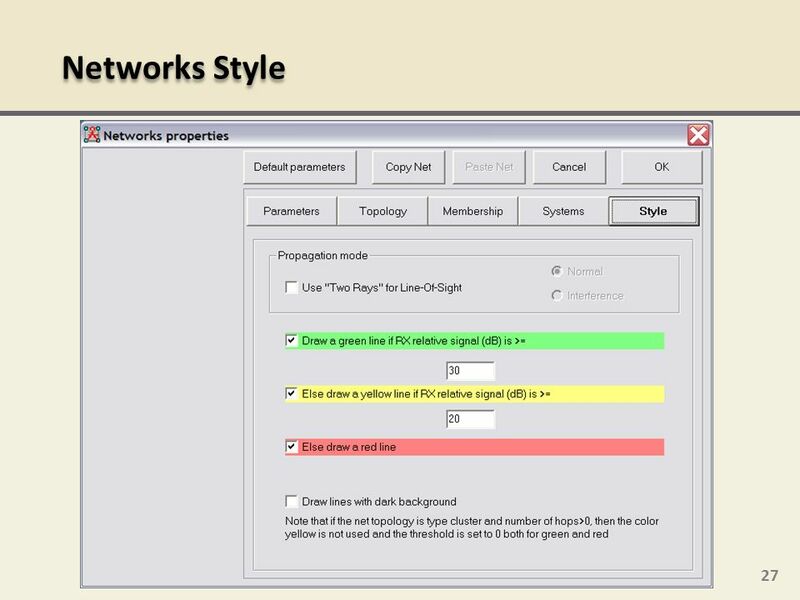 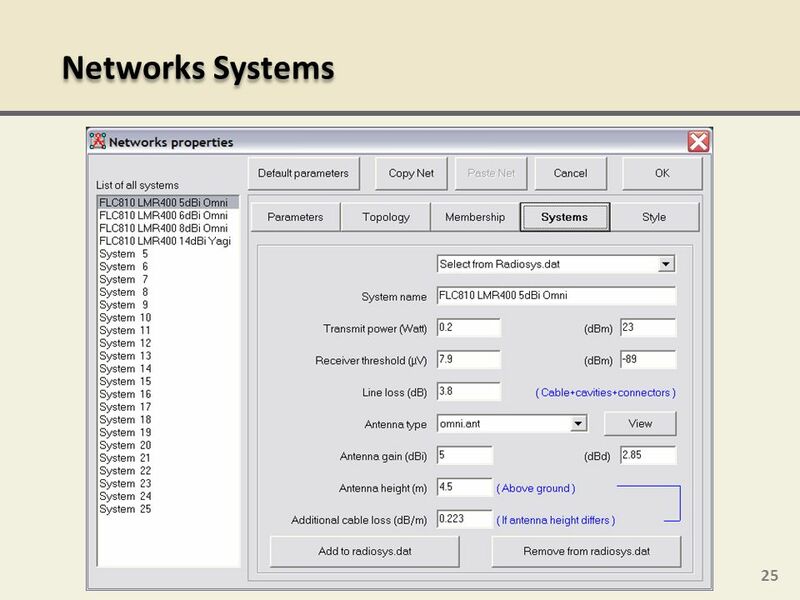 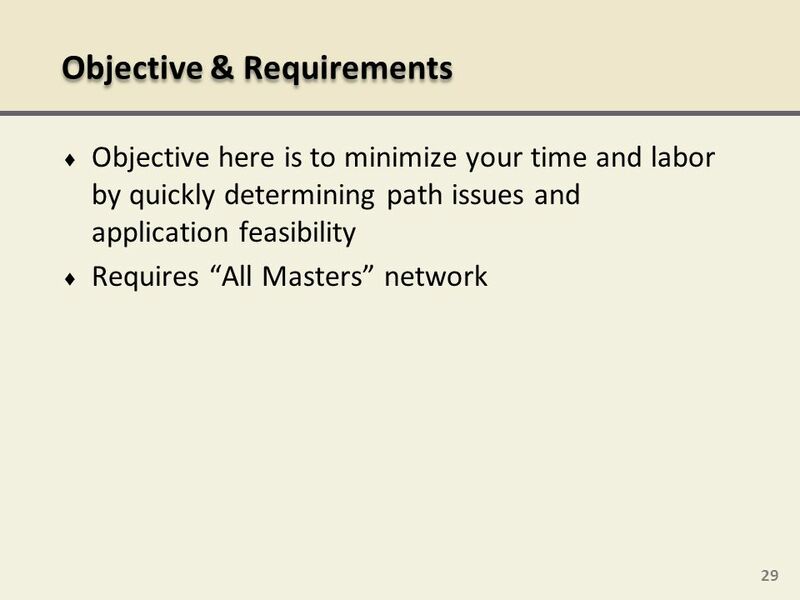 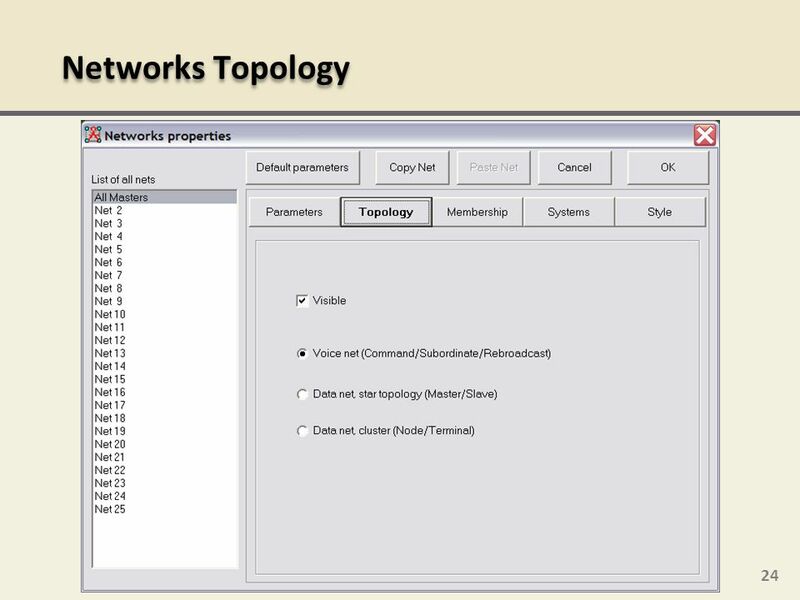 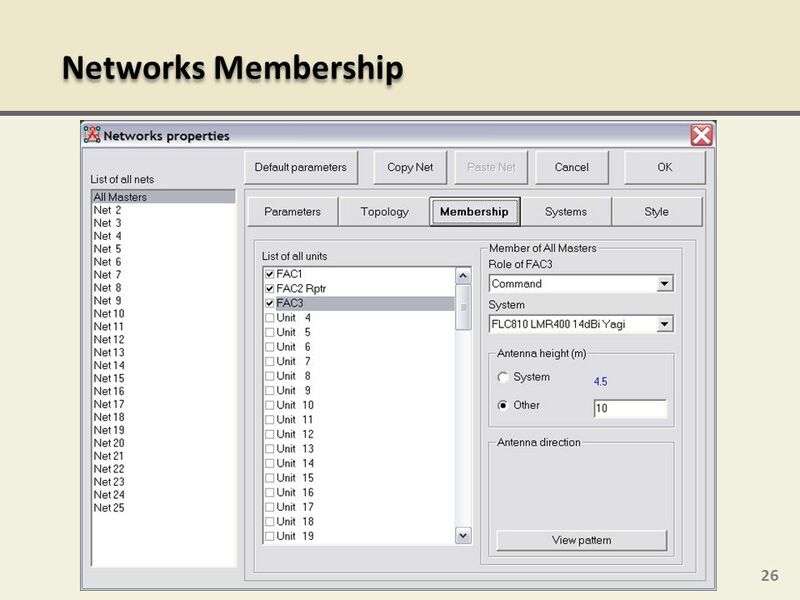 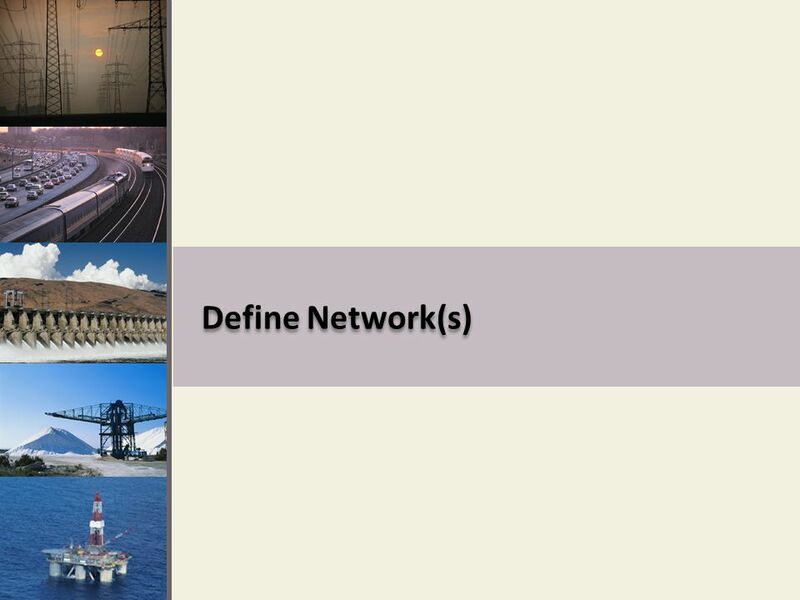 21 What is Network and System? 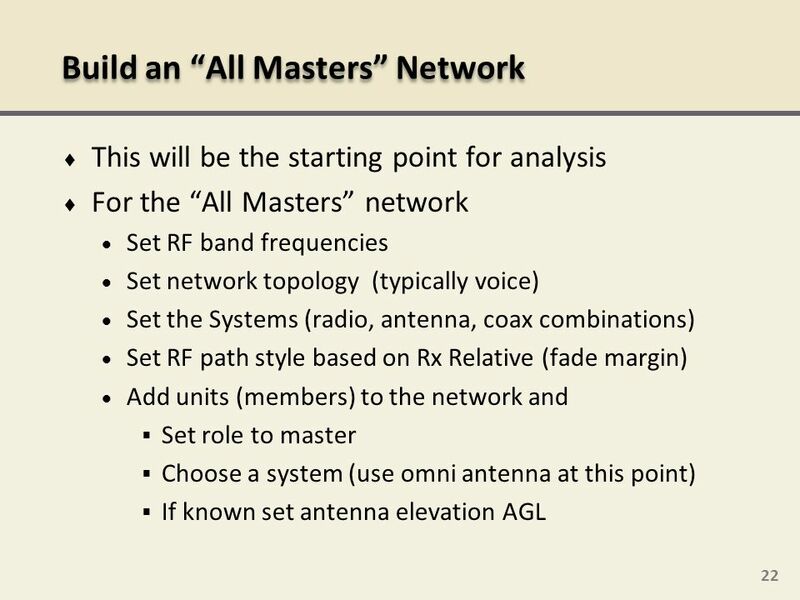 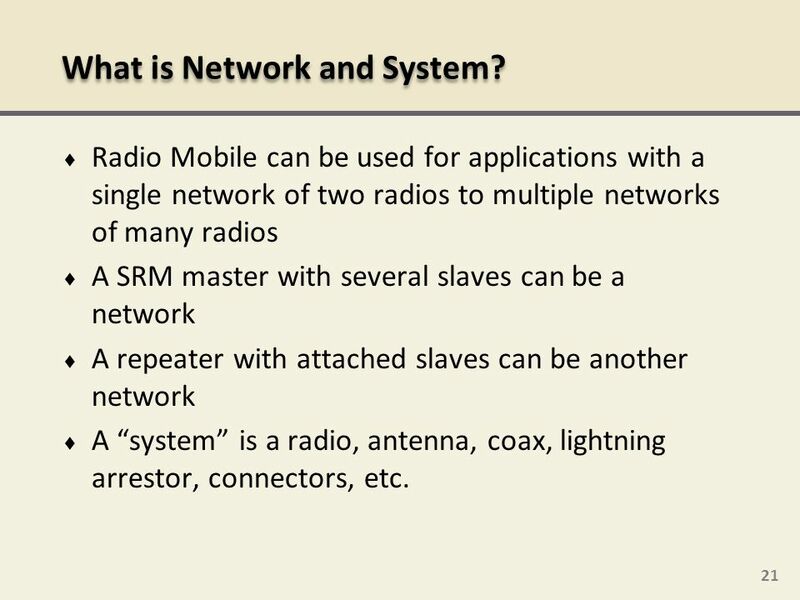 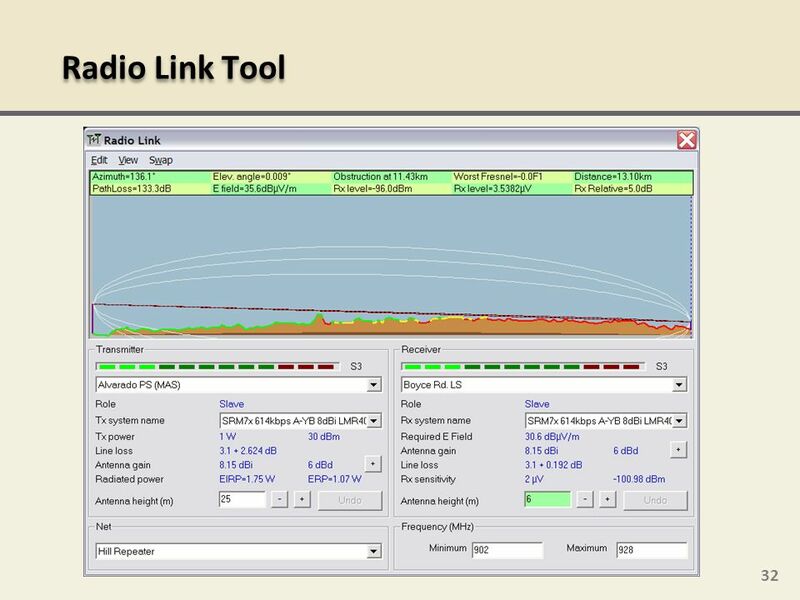 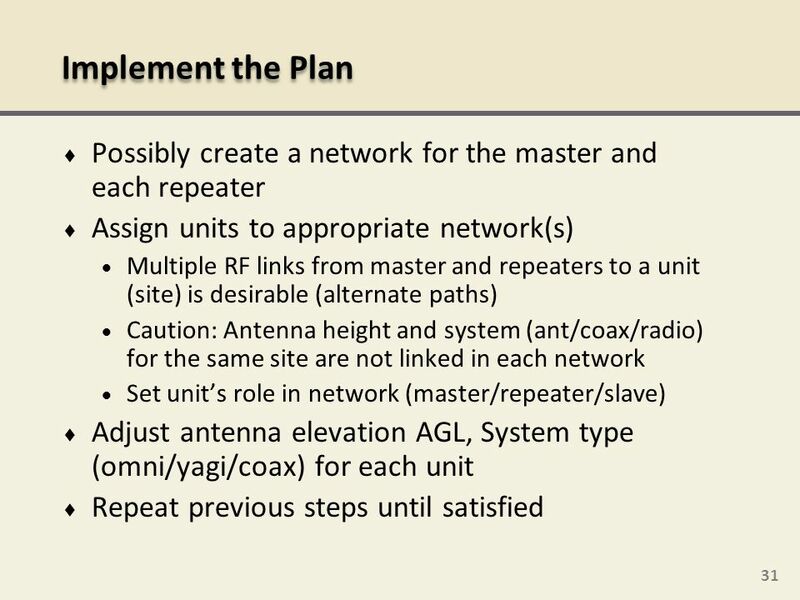 Radio Mobile can be used for applications with a single network of two radios to multiple networks of many radios A SRM master with several slaves can be a network A repeater with attached slaves can be another network A “system” is a radio, antenna, coax, lightning arrestor, connectors, etc. 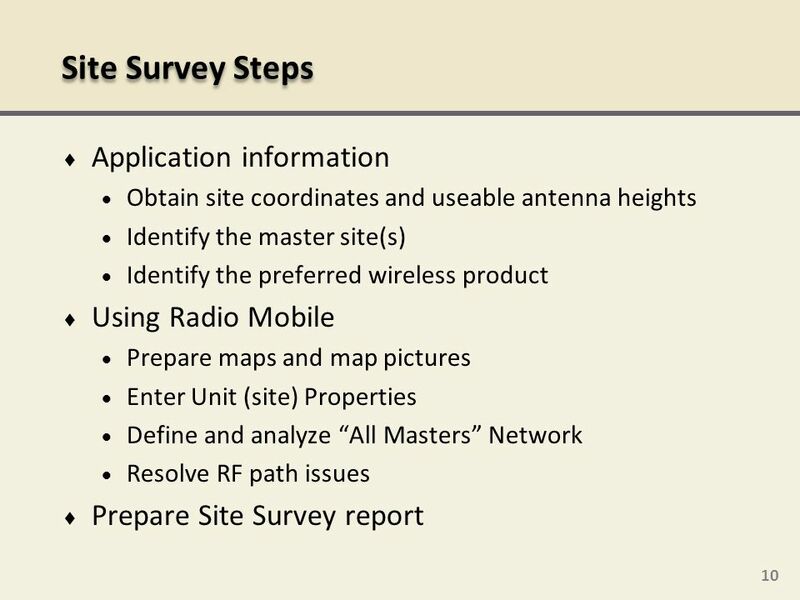 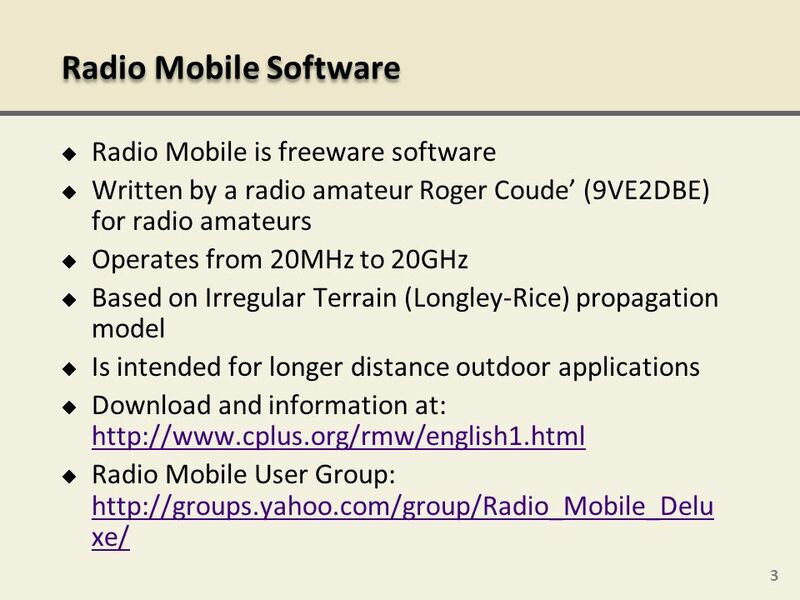 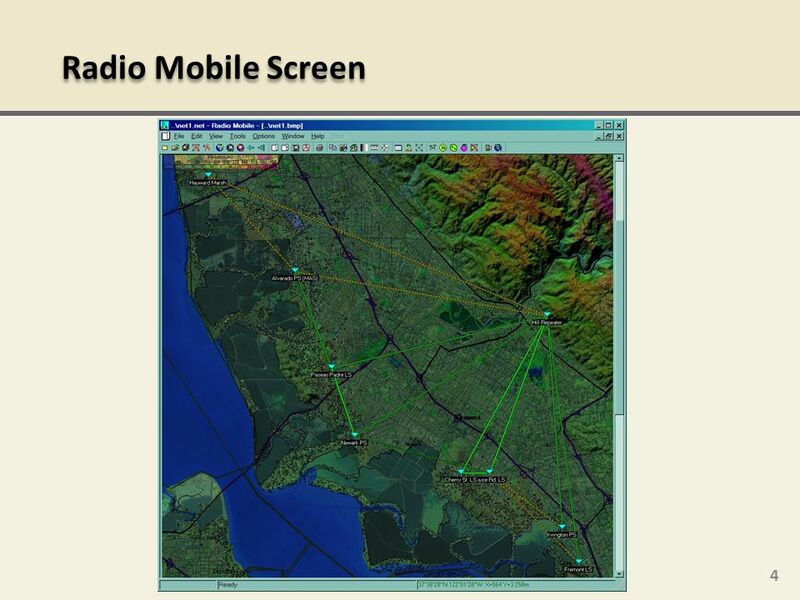 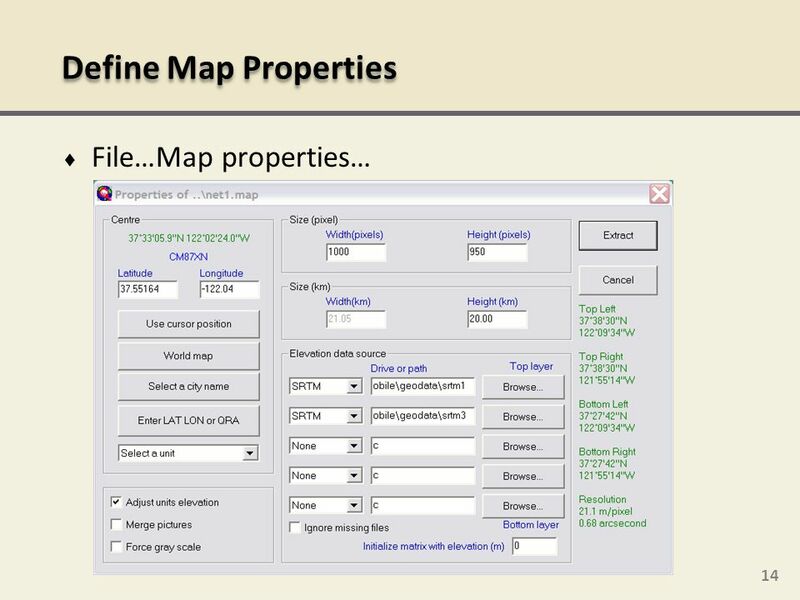 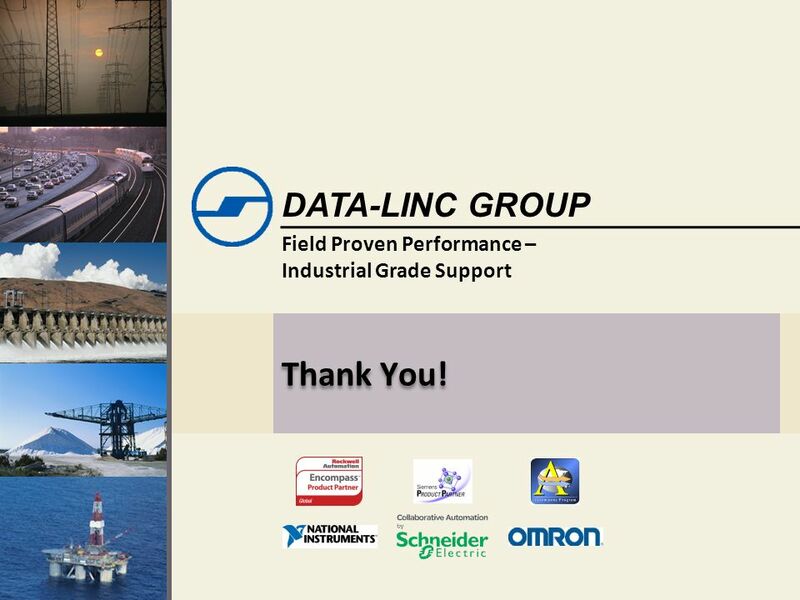 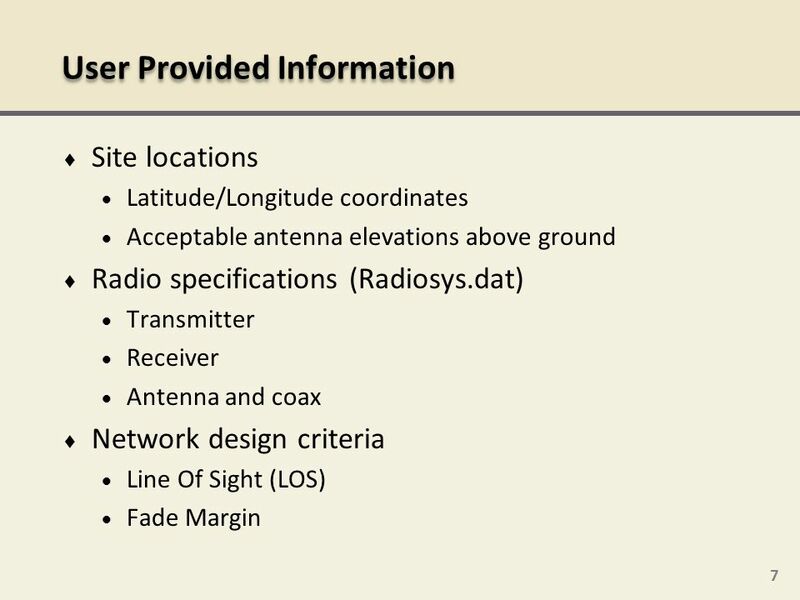 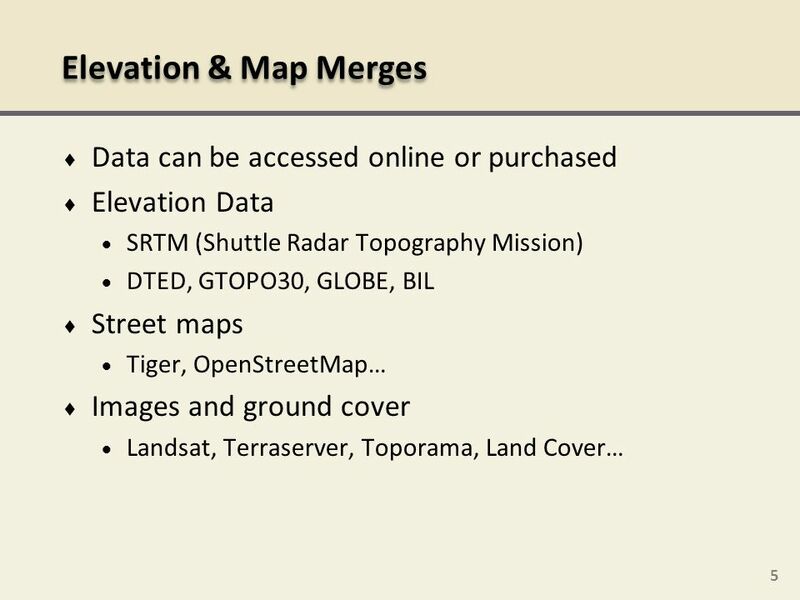 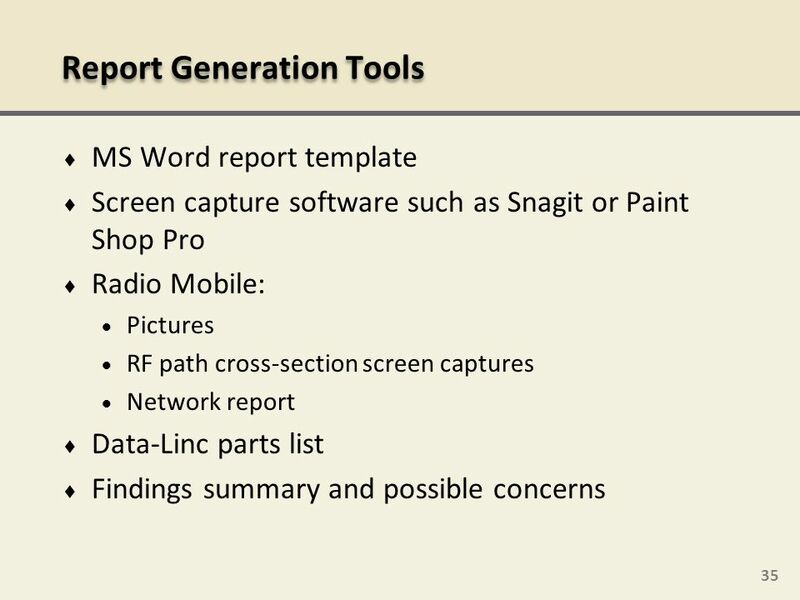 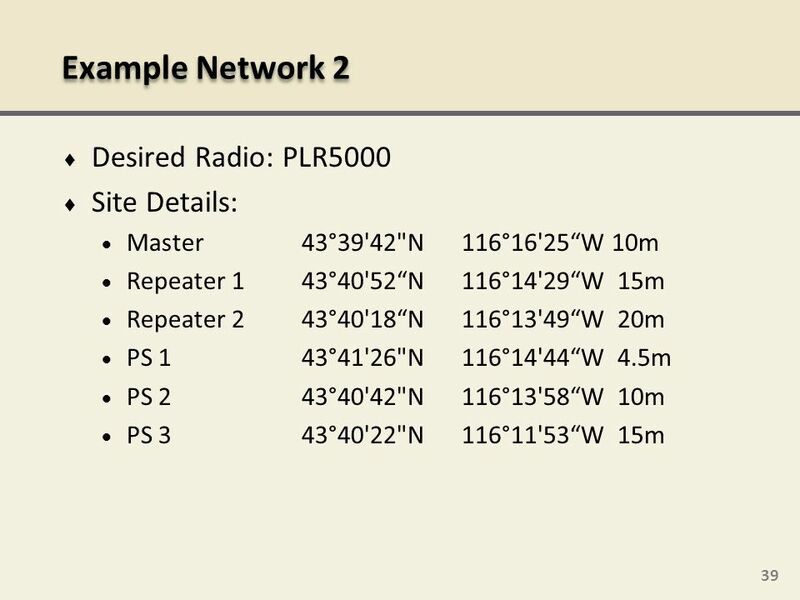 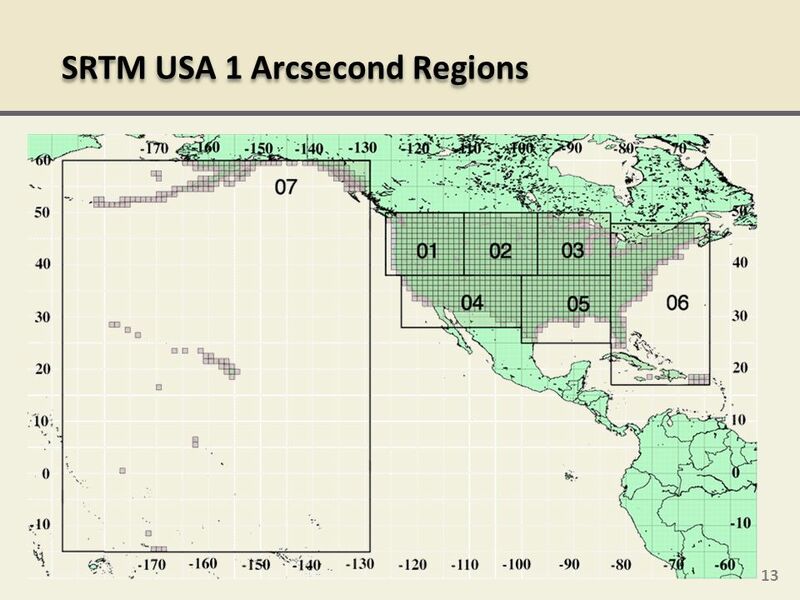 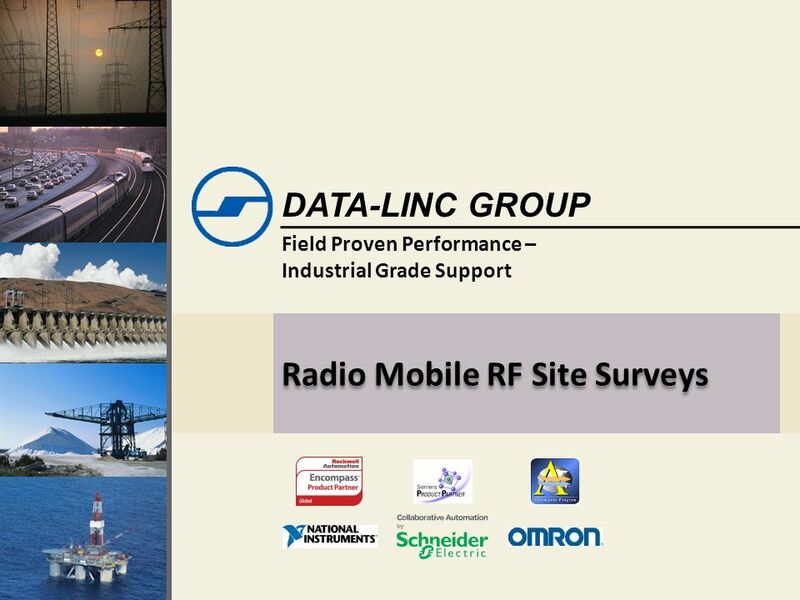 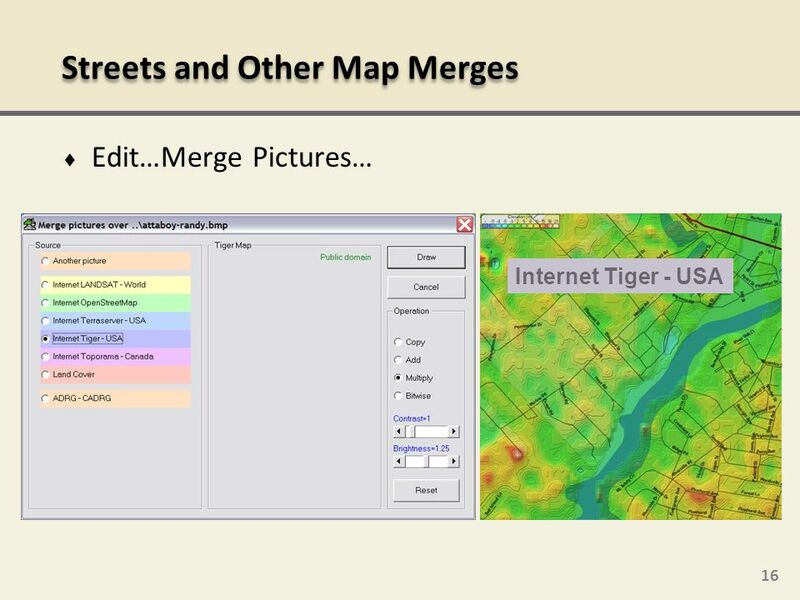 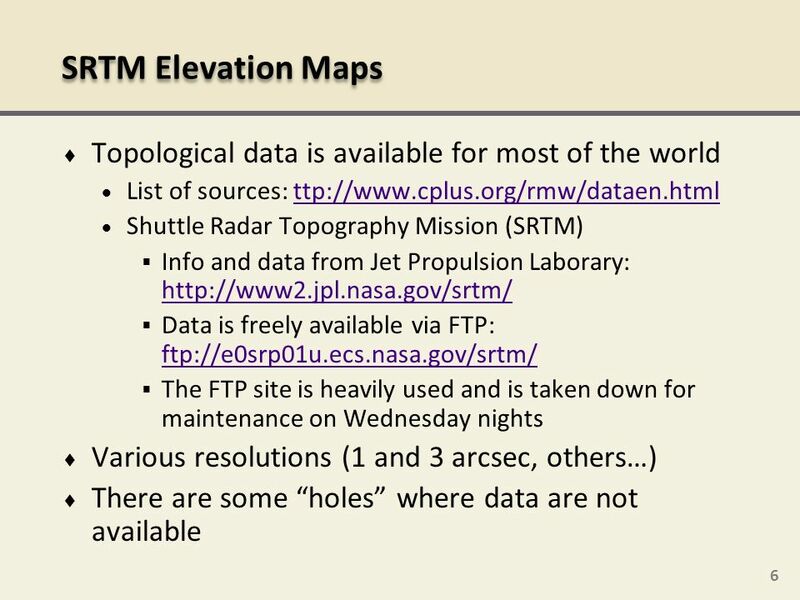 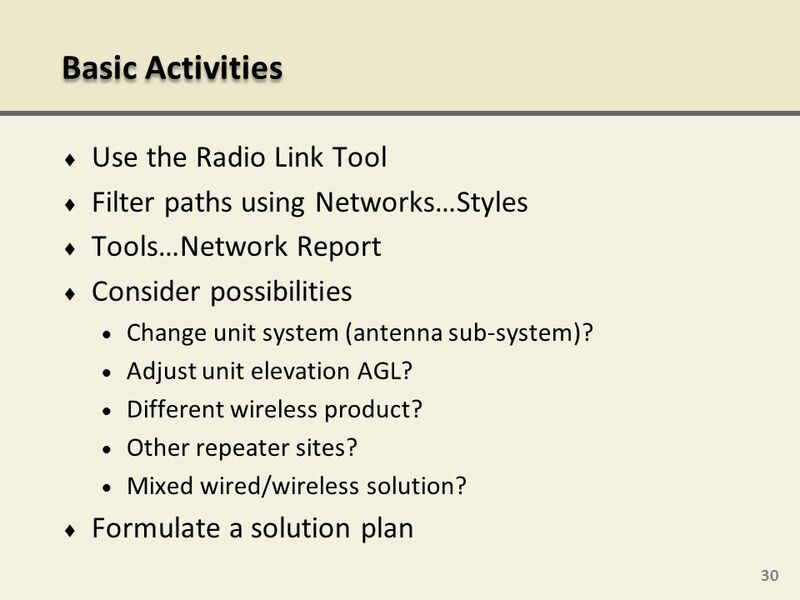 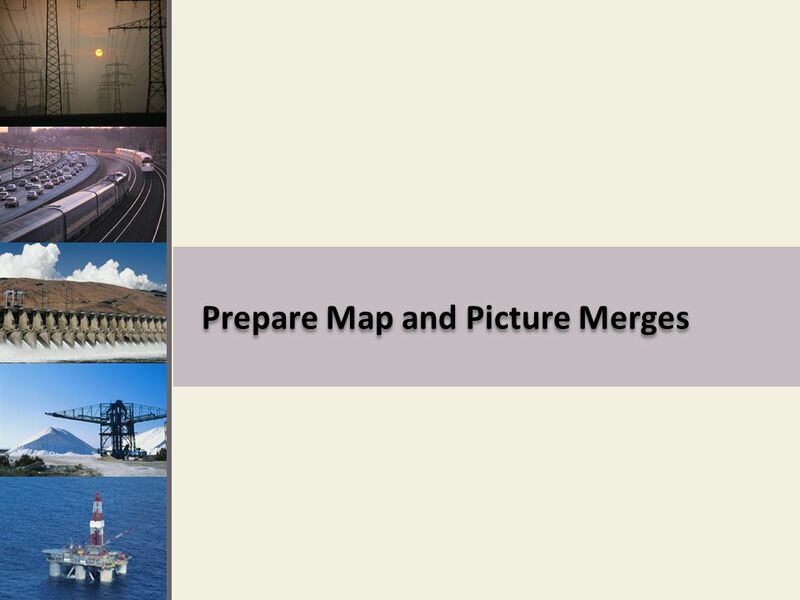 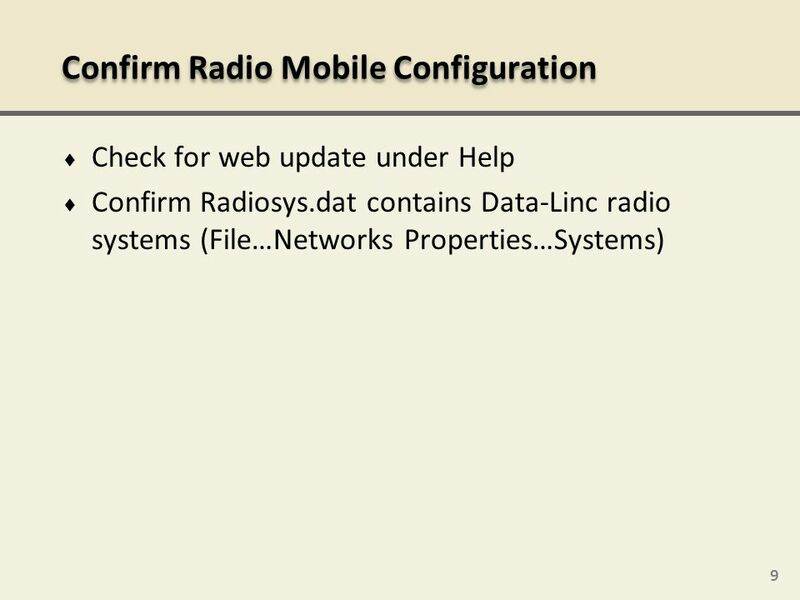 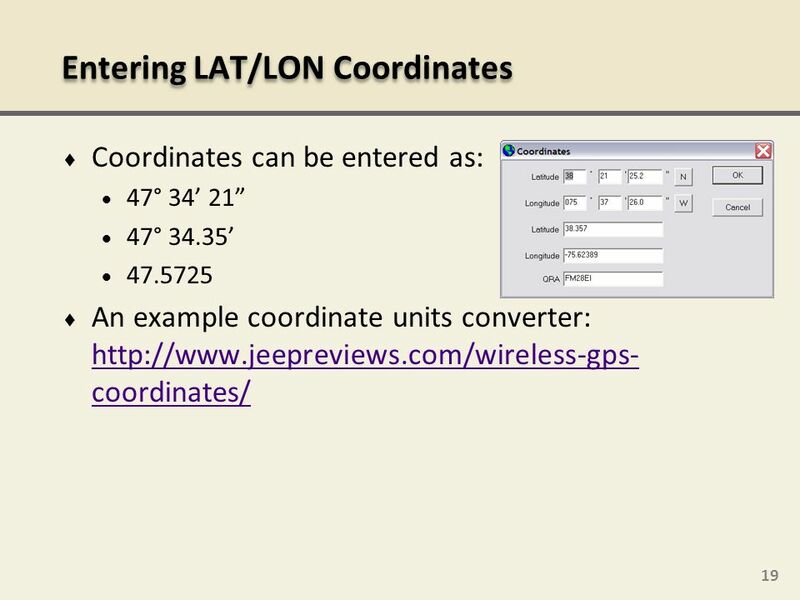 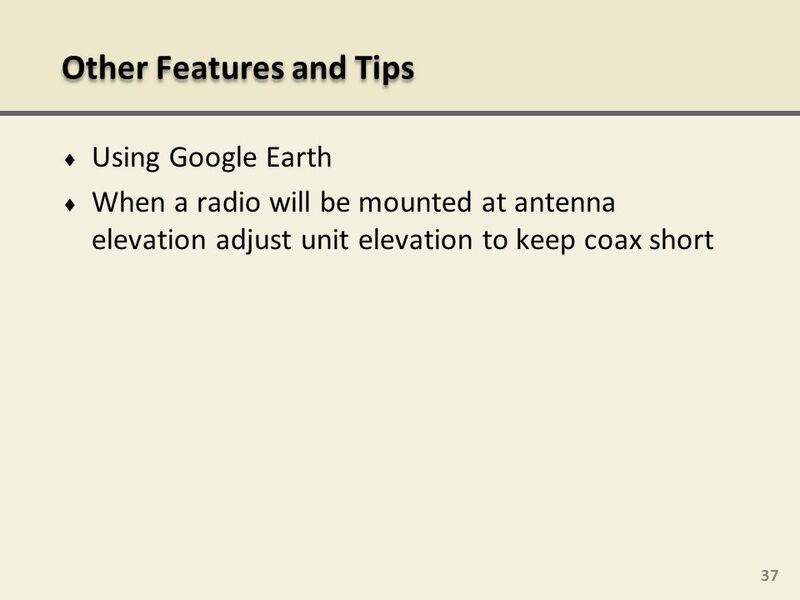 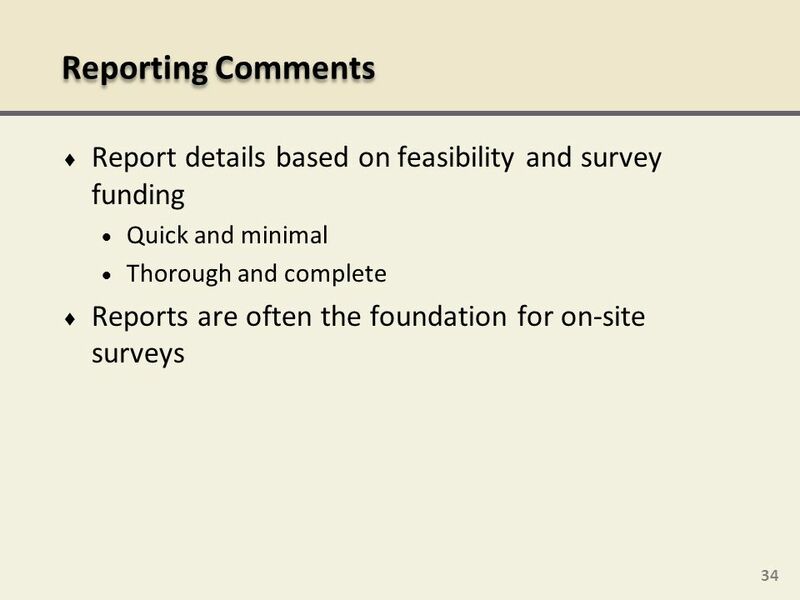 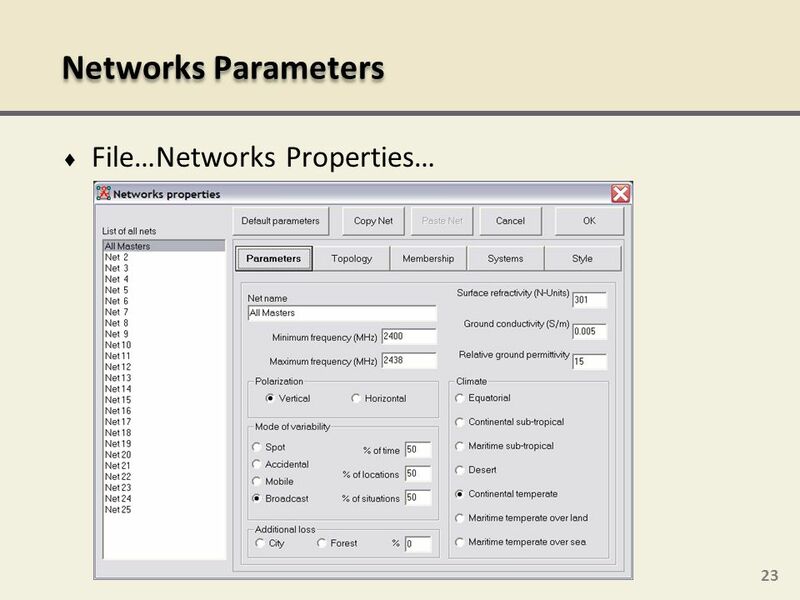 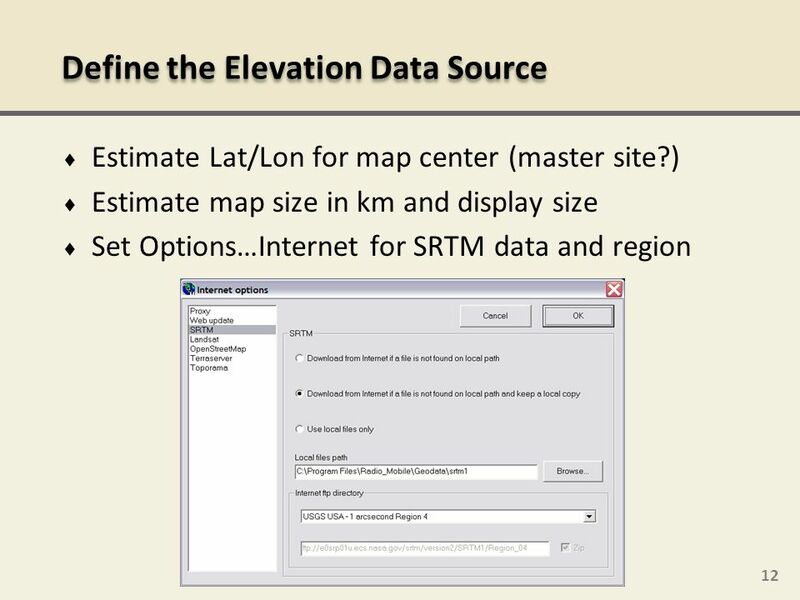 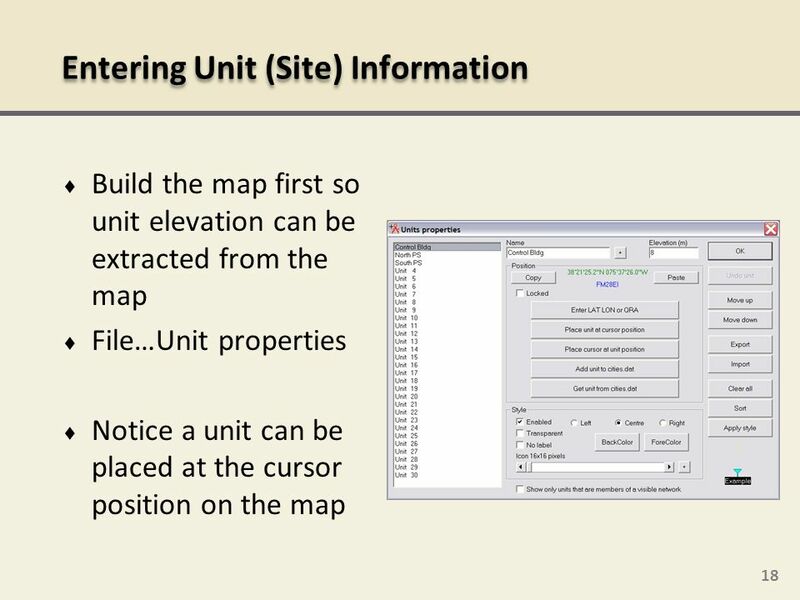 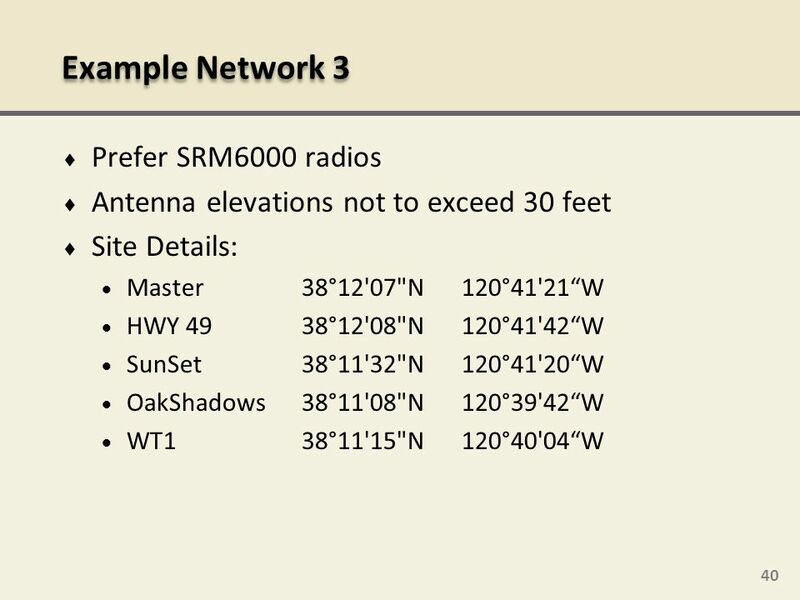 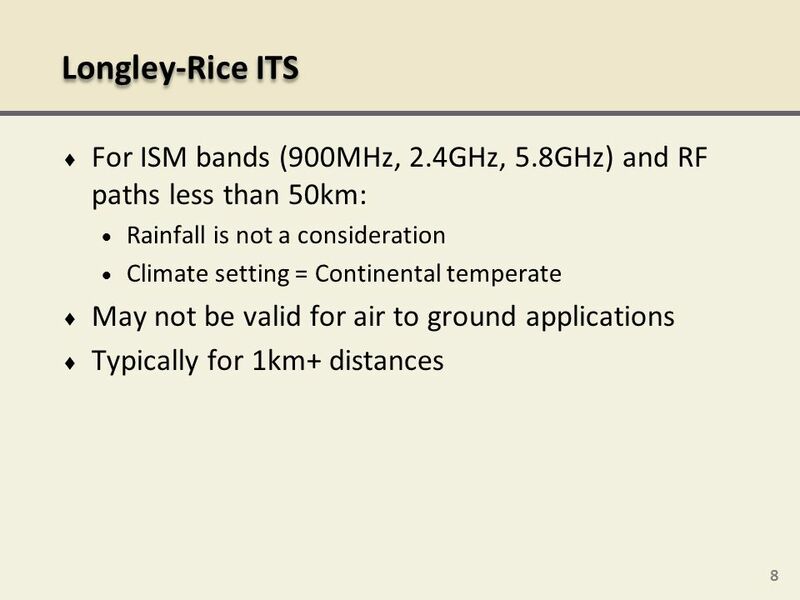 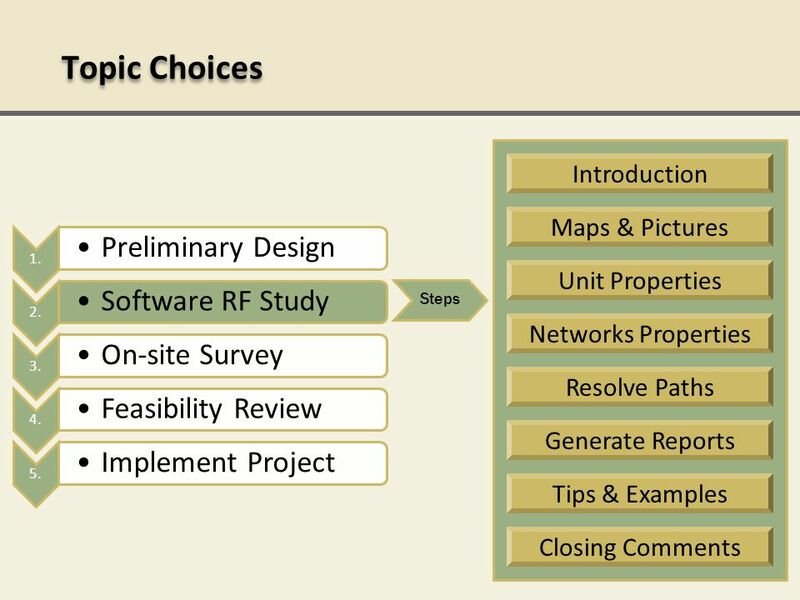 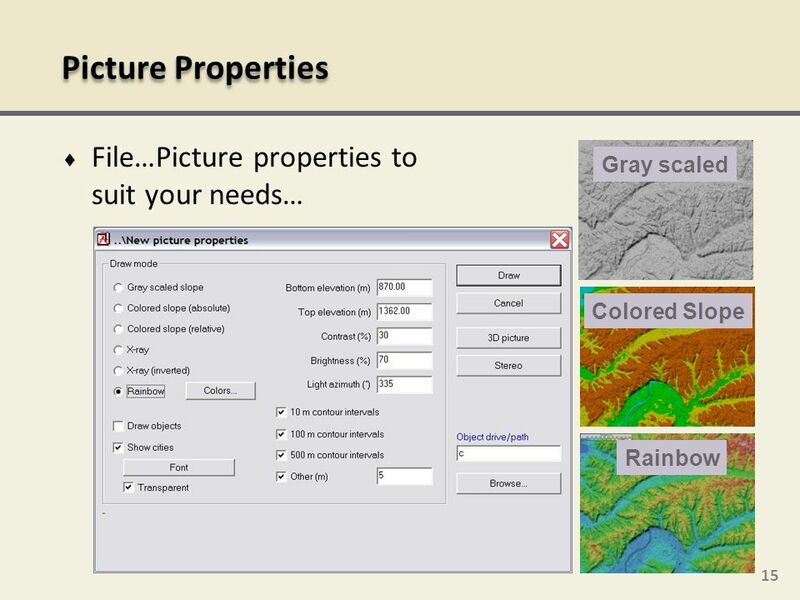 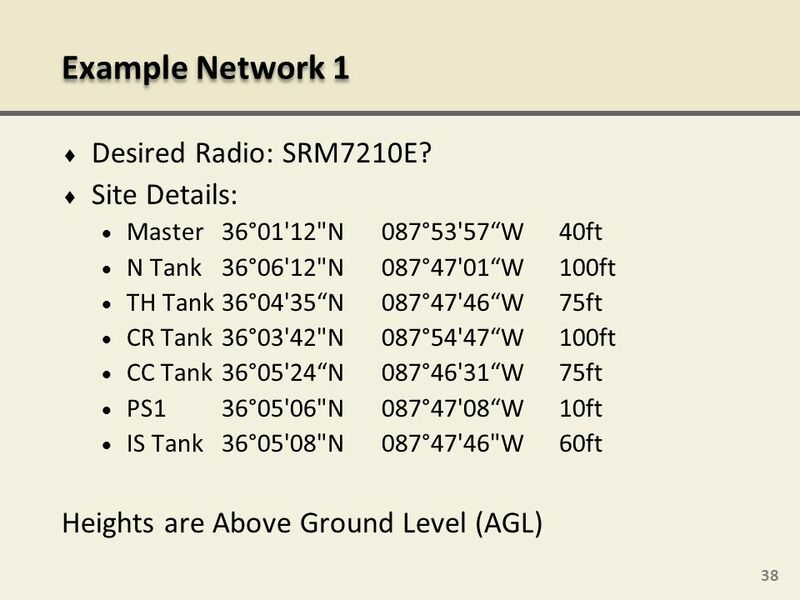 Download ppt "Radio Mobile RF Site Surveys"